We have so many fabric choices to offer to you that we need 2 pages to show them all. All of our products are hand made to order, so any fabric you like can be made into any product we make. 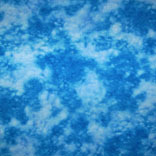 We have many other fabric prints. Please call, we might have what you are looking for.